A man had two sons. 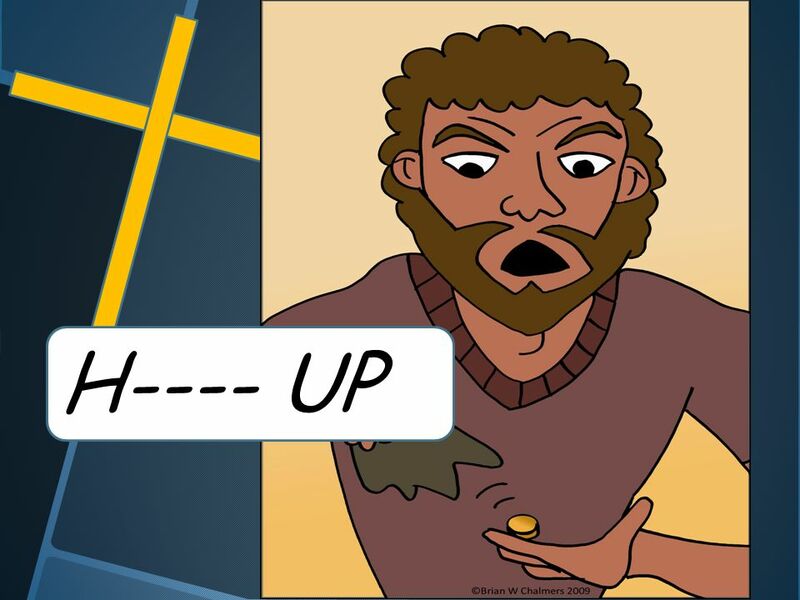 One of the sons asked his father to give him the inheritance that he would have gotten when his Father died. 1 A man had two sons. One of the sons asked his father to give him the inheritance that he would have gotten when his Father died. 7 A few days after he got the money he son took the money and went to a distant country. 20 QUESTIONS: 1.Do you think that the father was sad when his son left? 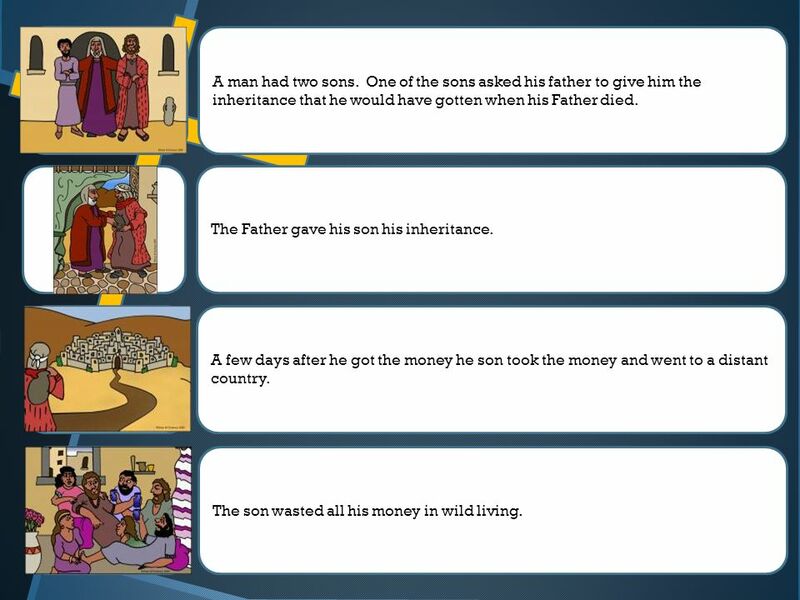 2.Did the son live a good life when he left home? 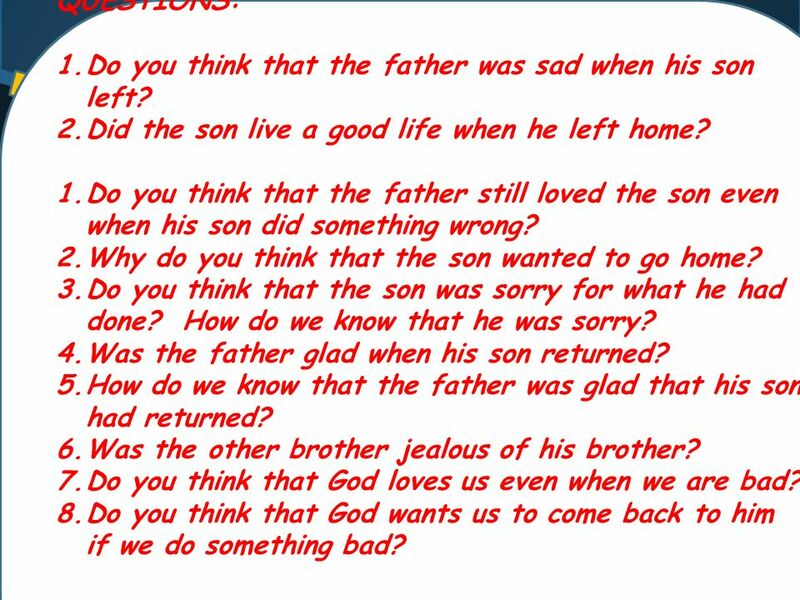 1.Do you think that the father still loved the son even when his son did something wrong? 2.Why do you think that the son wanted to go home? 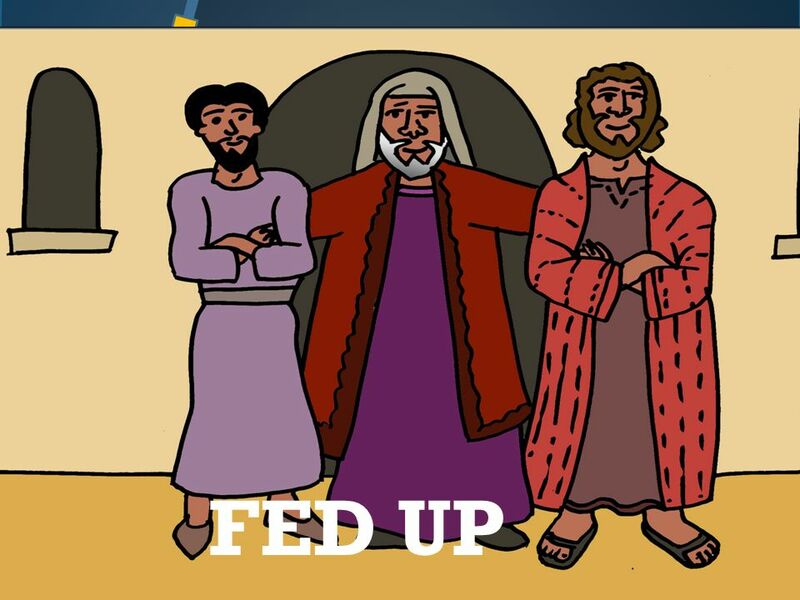 3.Do you think that the son was sorry for what he had done? How do we know that he was sorry? 4.Was the father glad when his son returned? 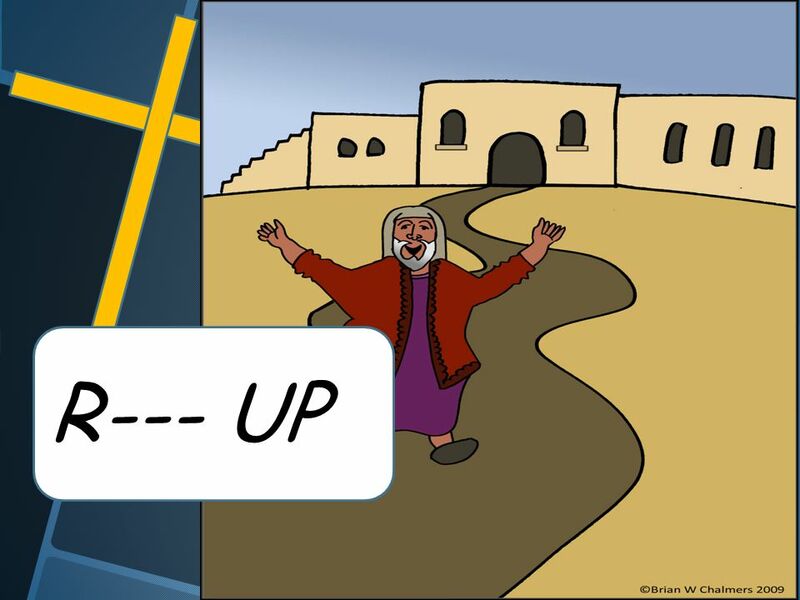 5.How do we know that the father was glad that his son had returned? 6.Was the other brother jealous of his brother? 7.Do you think that God loves us even when we are bad? 8.Do you think that God wants us to come back to him if we do something bad? 21 A man had two sons. 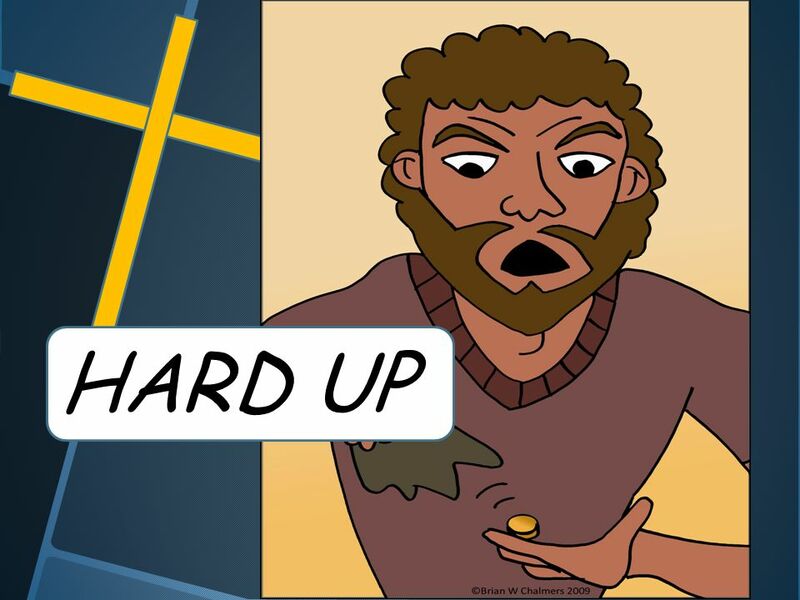 One of the sons asked his father to give him the inheritance that he would have gotten when his Father died. 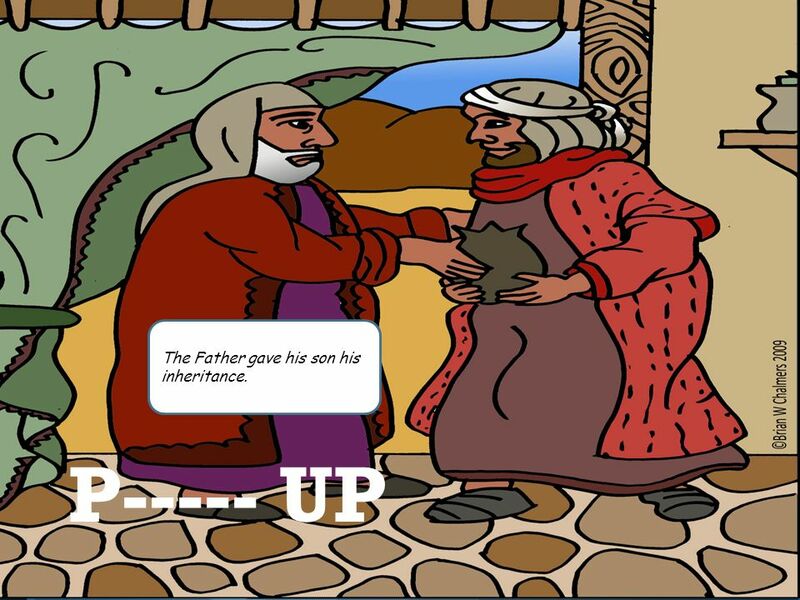 The Father gave his son his inheritance. 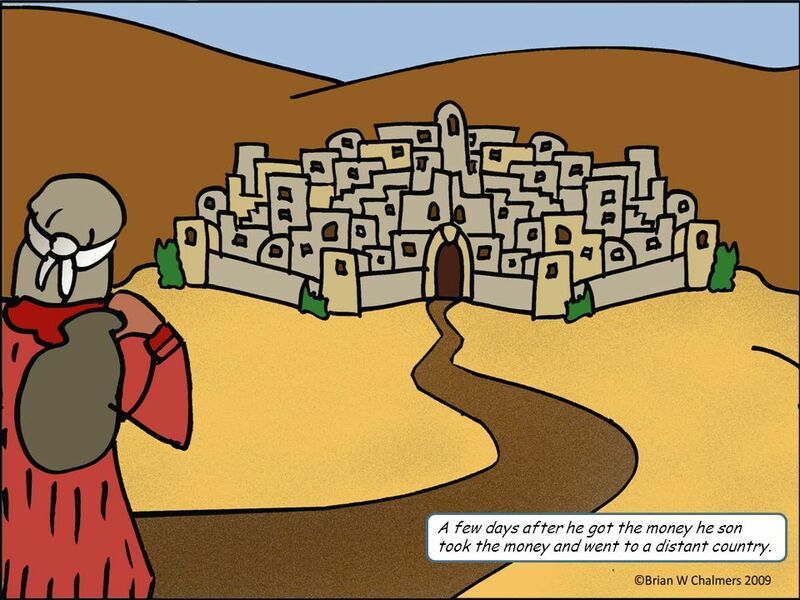 A few days after he got the money he son took the money and went to a distant country. 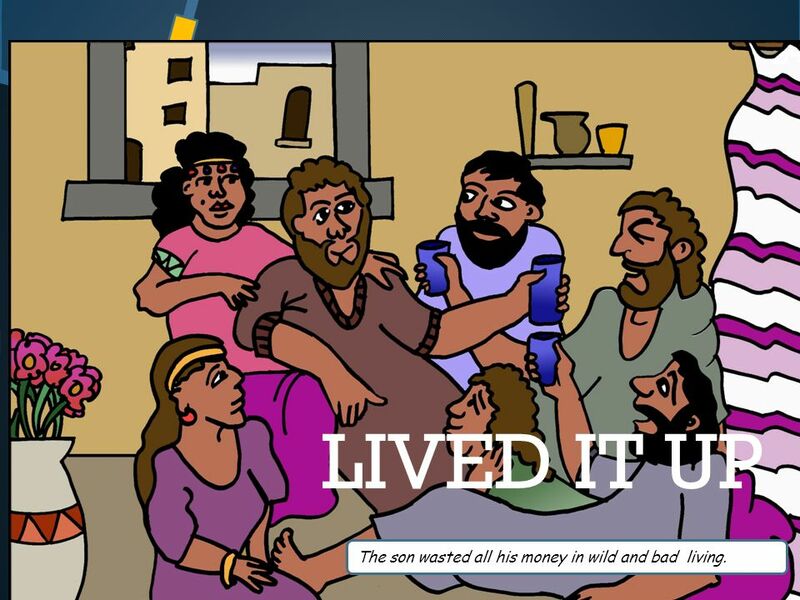 The son wasted all his money in wild living. 22 After a while the son learned that he had spent all the money he had and he was poor. 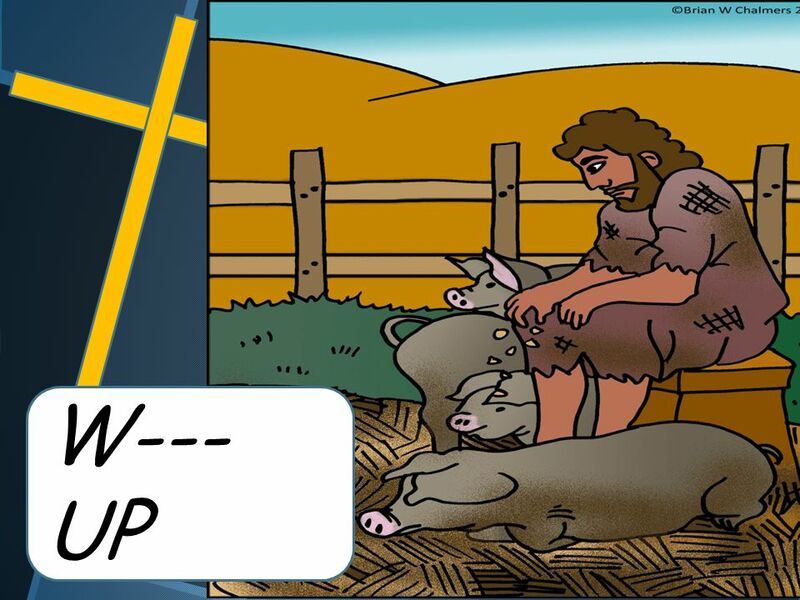 The son got a job taking care of swine (pigs). He was so poor and hungry that he wanted to eat the pigs food. He knew that the men that worked for his father always had lots to eat. 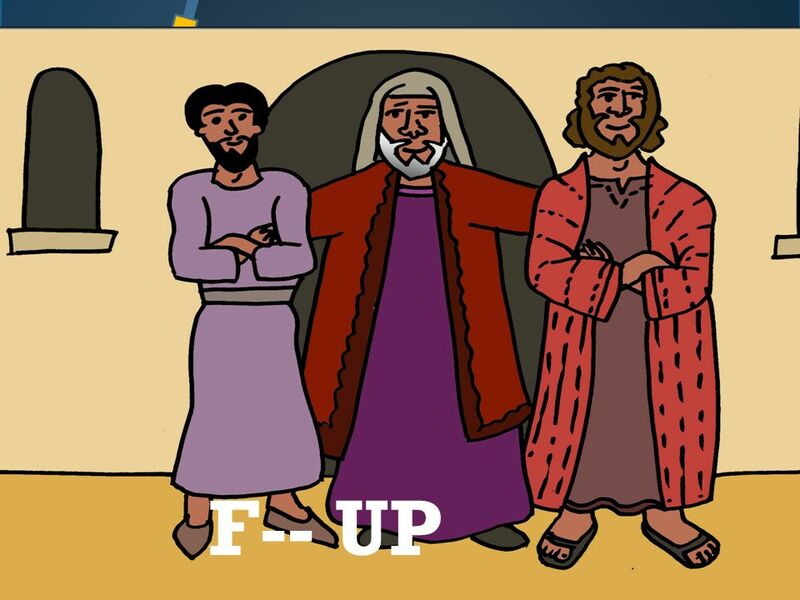 The son decided that he would go back to his father and tell his father that he had sinned against him and that he was sorry and wasnt worthy to be called his fathers son. Even when he as a long way from the house his Father saw the son and ran to meet him. He was very happy to see that his son was back home. 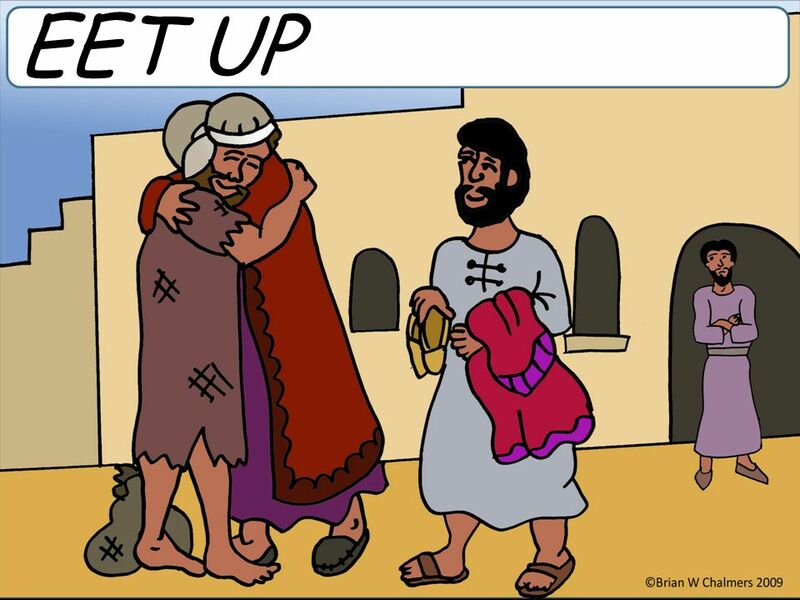 The father hugged his son and told the workers to put new clothes and sandal shoes and to give him a ring. The father told the workers to make a special big meal for his son. The brother of the son was jealous but the father told him that he should be happy because it was like the son had been lost and now he had been found. 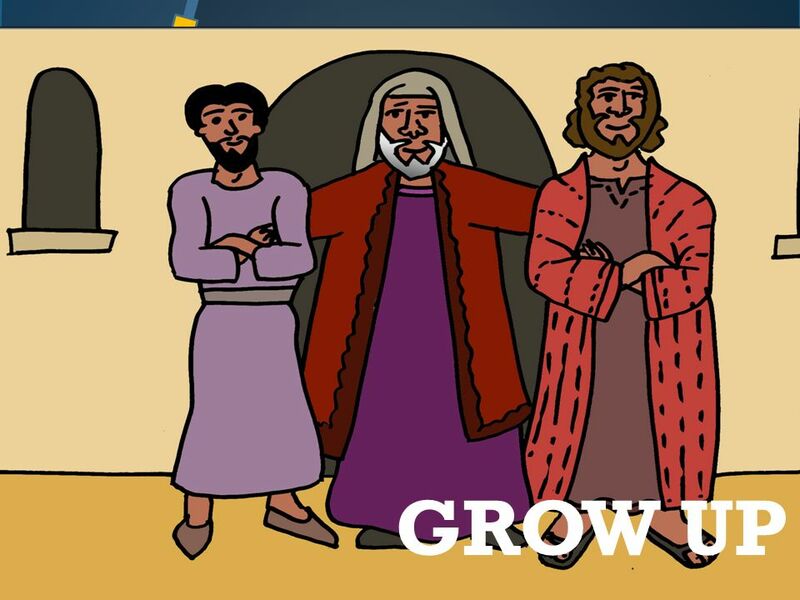 Download ppt "A man had two sons. 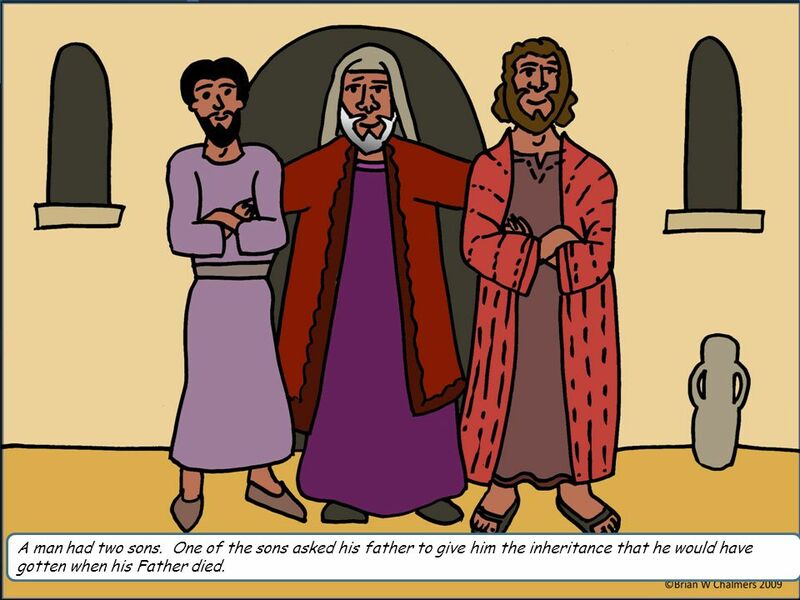 One of the sons asked his father to give him the inheritance that he would have gotten when his Father died." 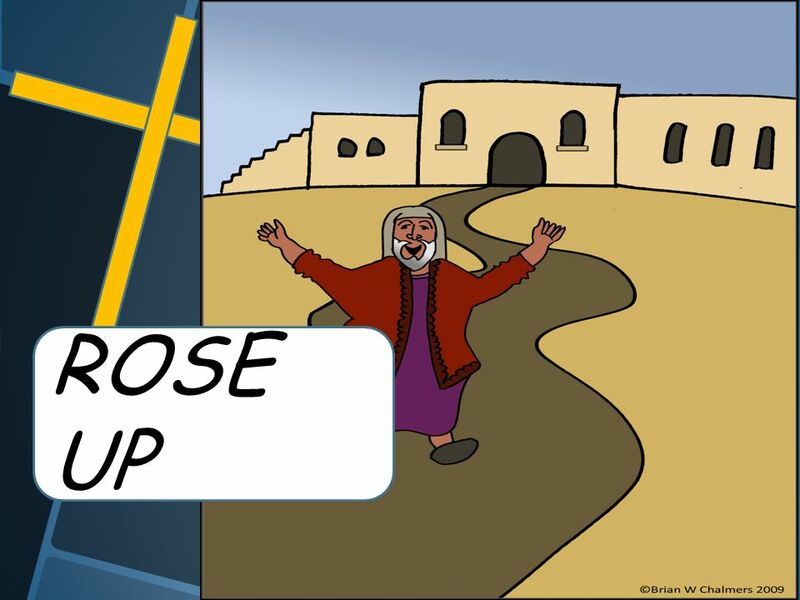 15: Jesus told a parable about Gods love. 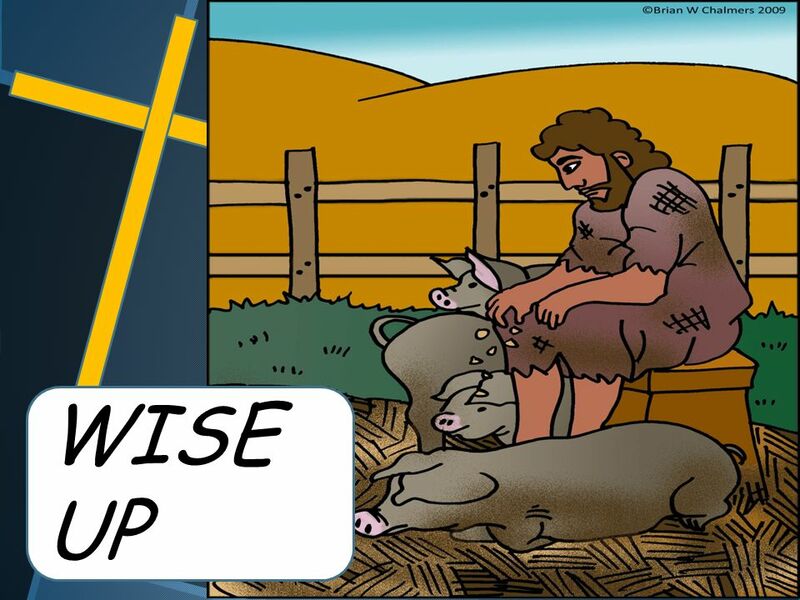 In the parable there was a farmer who had two sons. PARABLES By: Catherine, Cynthia, and D’Elia. 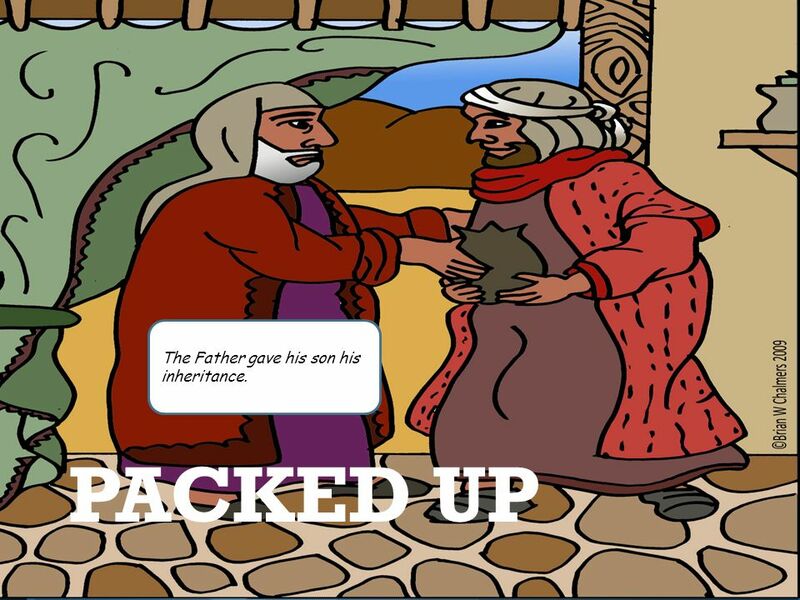 Prodigal Son There once was a happy family A son asked his father for his part of the inheritance before.